The Saint Ursula Fund (our annual giving program) can be thought of as “money to live by.” It supports all areas of the school. We ask for gifts on an annual basis to support the operating budget. Tuition received from current SUA families does not cover the entire cost of educating each student. Donations to the Saint Ursula Fund are the method by which we keep tuition increases low. Tuition at SUA is not supplemented by the Archdiocese of Cincinnati. The money donated to The Saint Ursula Fund can be used immediately for the areas of greatest need. Your participation will help leverage additional support. When SUA applies for grants from foundations, one of the very first things those foundations look for is a high percentage of annual giving participation by groups closely affiliated with the school. "My husband and I have proudly contributed to The Saint Ursula Fund each year since our daughter was a freshman in 2007. 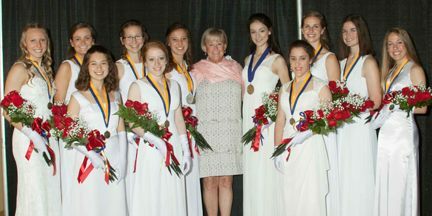 As past SUA parents now, we still recognize the importance of participating with an annual gift because we have seen first-hand how this outstanding school helps girls become strong, confident women in the future."